I love potatoes! Mashed. Fried. In soups. Roasted. Simply boiled. I love potatoes in salads with mayonnaise and hard boiled eggs or with cucumbers and tomatoes and olives and fresh herbs. But sometimes even I know that not every dish requires mayonnaise. Last weekend I decided to make a lighter version of a potato salad with grilled potatoes. Because I don't have a grill, I used my Panini maker. If you don't have either one, you can sauté or roast or broil your potatoes. This salad is great for warm days, eating outside, and can be made for one or for a crowd. 1. 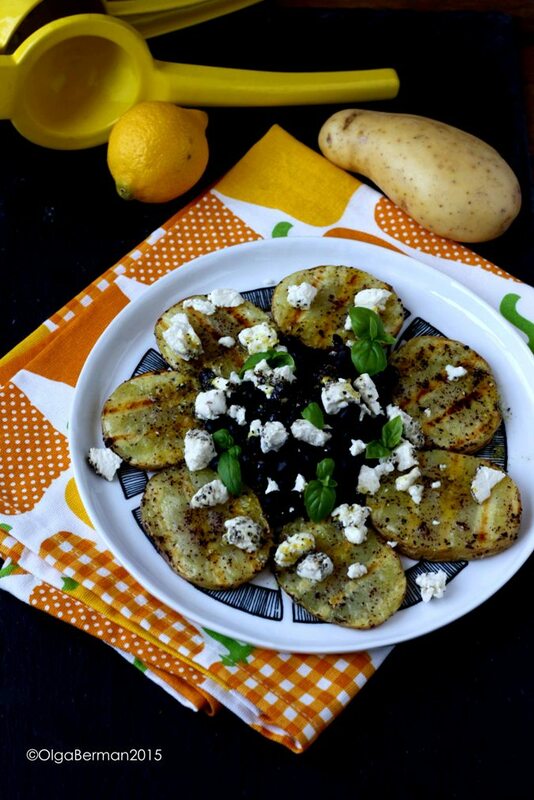 Drizzle potato rounds with olive oil and sprinkle with salt and sumac. "Grill" in a Panini maker for 15-20 minutes. Make sure your potatoes are completely cooked through!! 2. 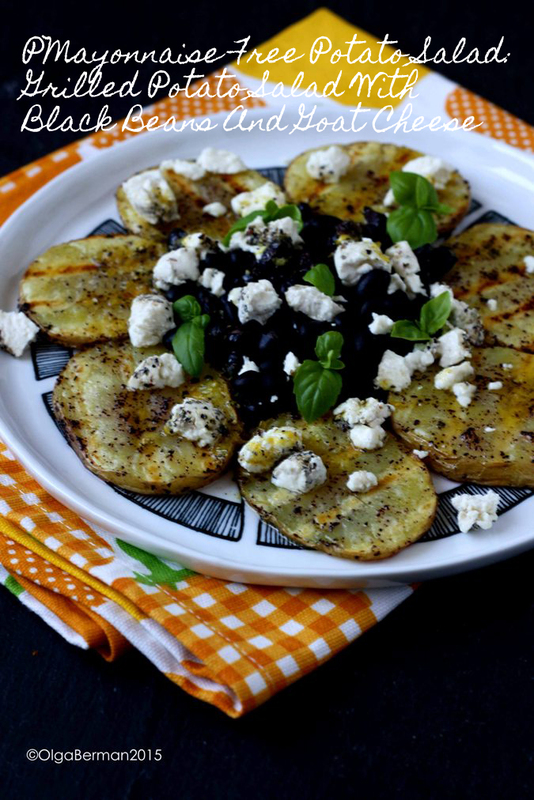 Layer potatoes on a plate with black beans, goat cheese and basil. 3. Whisk all ingredients for the dressing and drizzle on the salad. 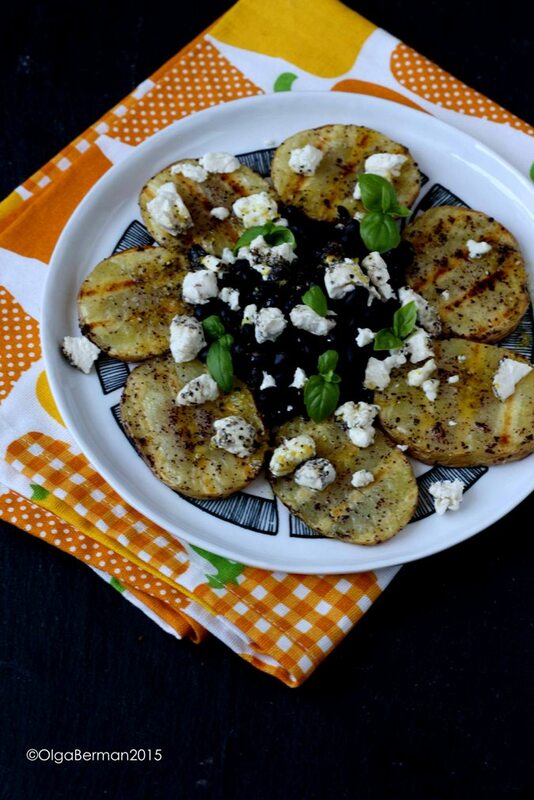 It's best to eat this salad as soon as the potatoes come out of the Panini maker because the dressing gets absorbed better and you get a great contrast between hot potatoes and creamy cold goat cheese.